On November 24th, 2018 we held our Share101 dialogue with teachers and administrators from our partner schools under the Get up Speak Out project, our intervention in Eastern Uganda. The Get up Speak out (GUSO) a 5 year (2016-2020) implemented together with partners in the SRHR Alliance is a strategic partnership between the Netherlands, MoFA, and the GUSO consortium (dance4life, Rutgers, Simavi, Stop Aid Now, Choice and IPPF). GUSO is building on Access Skills and Knowledge (ASK) achievements and lessons learned implemented by the SRHR alliance. The GUSO project is implemented by Reach A Hand Uganda (RAHU) in Jinja and Mayuge districts. Teachers play a very essential role in the growth and learning journey of most students and because we recognize that we stepped out on a very great mission of providing teachers, senior women/men, patrons, school administration and in-school health Workers with adequate and appropriate information, values and skills on SRHR in accordance with the country’s national, religious and cultural values. We kicked off the day with a session on understanding of SRHR issues in Uganda and breaking down to specifically Busoga. We wanted the teachers to get a closer feel of what the life of an adolescent school going young place looks like because it’s only then that we shall be able understand how our different roles play out. Here the teachers we divide into 2 groups and asked to define their understanding on a young person, adolescent and also focus on how different young people are from adults. We then moved on “understanding behavioral change & SRHR value clarification” session. 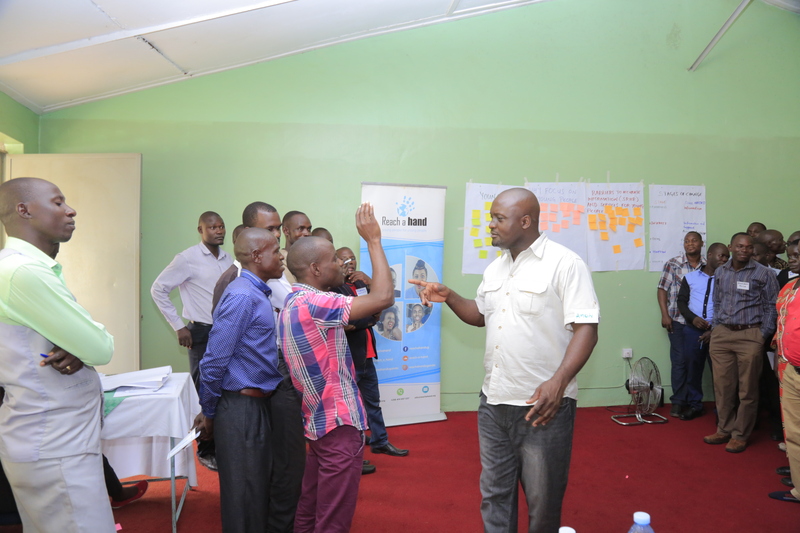 This session entailed a breakdown of the different stages that young people undergo in moving from uninformed decision zone to an informed one. For the later end of the day we were also joined by Mr. Kasule from Ministry of Education and Sport who gave a background on why the National Framework on sexuality was developed to step on gaps not addressed by the PIASCY program.Throughout his session with reference to the National Framework on Sexuality he emphasised the need age -appropriate information. Mr Kisambira Eria,the senior District Education Officer Jinja gave the closing remarks calling on all teachers to ensure whatever knowledge they learnt is shared down to every student in their respective schools. We crowned the day with designing of action points that will help us build a better and impactful working relationship for 2019.